"I once believed that we only had to put in place the conditions for equality for the remnants of old-fashioned sexism in our culture to wither away. I am ready to admit that I was wrong." Empowerment, liberation, choice. Once the watchwords of feminism, these terms have now been co-opted by a society that sells women an airbrushed, highly sexualised and increasingly narrow vision of femininity. 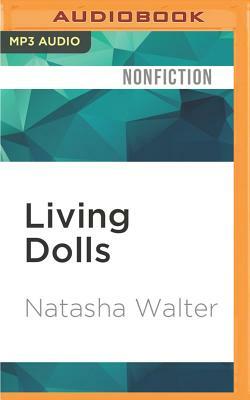 Drawing on a wealth of research and personal interviews, Living Dolls is a straight-talking, passionate, and important book that makes us look afresh at women and girls, at sexism and femininity--today.